The 1st Annual Riverfront Jazz Festival in Dallas, TX | Sept. 1st-3rd, 2017 - TheUrbanMusicScene.com | Concerts & Festivals! Erykah Badu, Will Downing and Najee are the festival Honorary Chairs and among the diverse artists who will perform. Other talent includes Euge Groove, Oleta Adams, Peter White, Keiko Matsui, Jon Secada, Rachelle Ferrell and Ruben Studdard. The multi-genre music ranges from Jazz (Traditional and Smooth), R&B, Pop, Soul, Blues and Neo-Soul will be performed on two main stages– the Visit Dallas Jazz Main Stage and the Blues and Soul Main Stage. A third stage will be dedicated specifically for 50 young promising artists. Friday, September 1 lineup kicks off on the Visit Dallas Jazz Main Stage at 7:30 p.m. with Dallas talent, Young Gifted and Black Artists, a new recording group, followed by Grammy-winner Shaun Martin featuring Andrea Wallace and Martha Burks and ending with the incomparable multi-Grammy, Soul-Train, American Music award-winner, Erykah Badu. ACTS ON VISIT DALLAS JAZZ MAIN STAGE: SATURDAY, SEPTEMBER 2: Six Brothers on Sax (Keith Anderson, Tom Braxton, Mark Felton, Art Sherrod, Jr., Joseph Vincelli, Clay Prichard), Jeff Lorber, Rahsaan Patterson (Tribute to Donny Hathaway), Divas of Jazz, Pop and Soul (Freda Payne, Eloise Laws), Will Downing, Oleta Adams and Najee. ACTS ON VISIT DALLAS JAZZ MAIN STAGE: SUNDAY, SEPTEMBER 3: Chuck Loeb, Jazz in Pink featuring Karen Briggs, Jonathan Butler, Keiko Matsui, Rachelle Ferrell, Peter White, Paul Taylor and Euge Groove. ACTS ON BLUES AND SOUL MAIN STAGE: SATURDAY, SEPTEMBER 2: R.L. Griffin “The Reverend,” Wanda King, Lucky Peterson, Lady Tambourine and the New Orleans Soul Band, Yarbrough and Peoples featuring Benita Arterberry, Martha Wash and Pieces of A Dream. 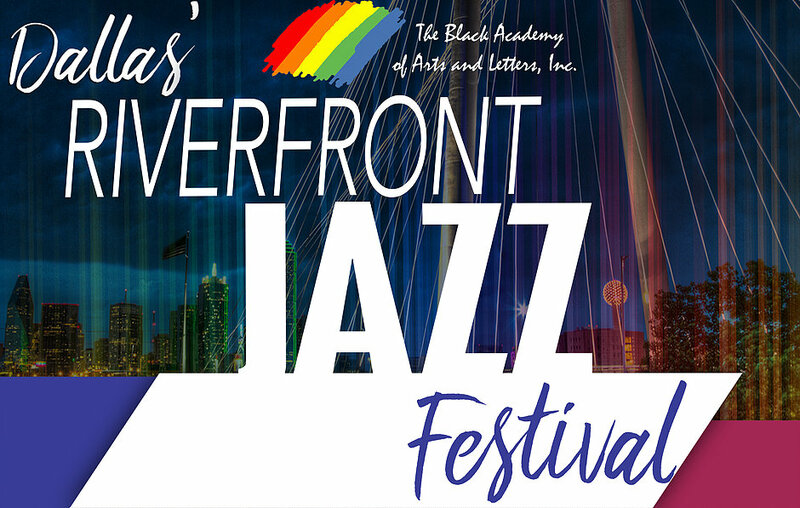 For tickets call, TBAAL Box Office 214.743.2400 or Ticketmaster 800.745.3000 and for festival info and updates, visit: www.tbaalriverfrontjazzfestival.org. Sponsorship opportunities are available. Visit us on www.tbaal.org. One Response to "The 1st Annual Riverfront Jazz Festival in Dallas, TX | Sept. 1st-3rd, 2017"